Some things are meant to be tasted once, and then never eaten again. "Oh, I've tried that before!" you can demur when someone offers you another bite. "You enjoy that. All of it. I'm set." 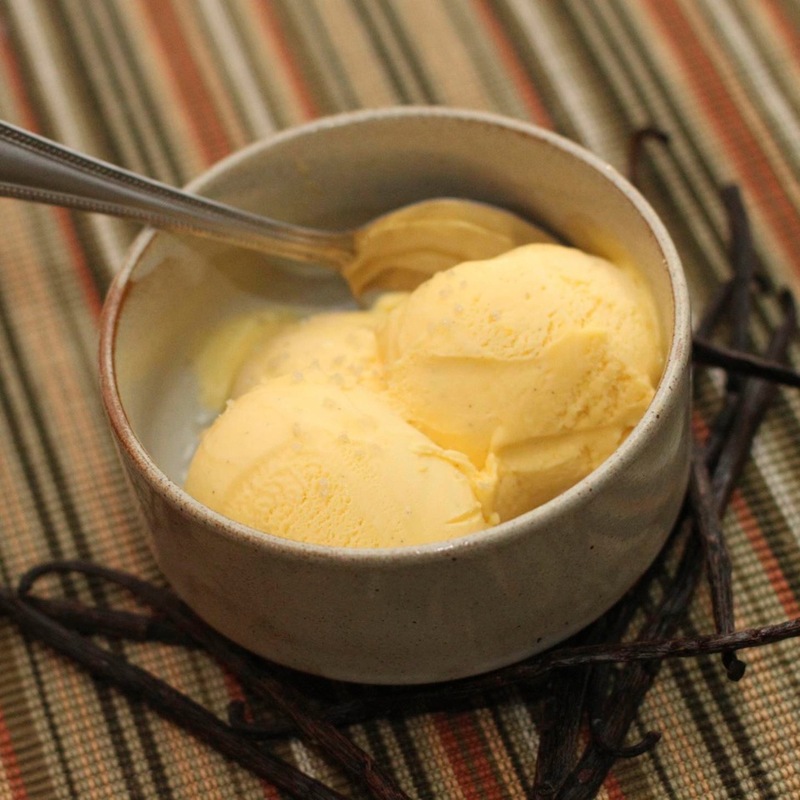 Olive oil ice cream may sound like it is destined to be one of those try-once things, but it is surprisingly good and certain to be a repeat in your kitchen. I once ordered an olive oil gelato at a restaurant, and it won over the entire skeptical table. When I had the opportunity to try Sciabica's Mission Variety Spring Harvest oil, I knew that its clean flavor would be wonderful in ice cream. This recipe takes two days. On the first day, you'll make the custard. It will need to chill overnight (or at least for a good six hours) before you add olive oil to the mixture and churn it to delicious ice cream. This ice cream is rich, incredibly creamy, and best enjoyed in small portions. The recipe will make about a pint, but that pint will go a long way. Stir together the heavy cream, water, sugar, and salt in a medium saucepan. Heat over low-medium until well-incorporated and very hot, but not yet bubbling. Meanwhile, in a small bowl, beat together the egg yolks. When the cream mixture is nice and hot, ladle a few spoonfuls into the bowl containing egg yolks. Stir them together. Then, whisking the cream mixture constantly, pour the warm yolks into the saucepan. Add the vanilla. Now you're making custard. Stir frequently, scraping the bottom of the pan, until the mixture has thickened. It will look like a loose pudding, and it should definitely coat the back of a spoon. Depending on your stovetop settings, this could take anywhere between 5-15 minutes. Strain the custard into a clean container. Refrigerate overnight, or at least until it's very cold. When you're ready to churn, stir the olive oil into the chilled custard. When well-incorporated, churn in your ice cream machine according to manufacturer instructions.